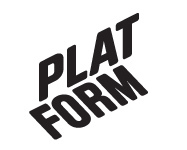 One Day Show – Platform r.f. One Day Show is a project by Johan Lundh in collaboration with Dragos Alexandrescu, Eva Forsman, Joakim Hansson and Therese Sunngren. It is a project exploring contemporary art through a speculative study of artistic, curatorial and discursive production. During an all-day workshop, the participants have developed an exhibition together from scratch. One Day Show was divided into three 3-hour long sections (excluding breaks): research, production and presentation. The first segment included an introduction and collaborative research. The second segment involved the collaborative production of the exhibition. The third segment comprised of the opening reception. The goal of One Day Show was to examine the risks and generosities involved in collaboration in a playful way. Dragos Alexandrescu is a visual artist from Romania who is now based in Vaasa, Finland. He became an active member of Platform in 2008. Joakim Hansson is from Hofors, Sweden, now living in Nykarleby, Finland. Joakim tries to combine different disciplines to create new angles in ways of audiovisual communication.